It goes without saying that a prolific collection of books should be in the home of every half-respectable writer. Yet how much value does an in-depth awareness of literature have to a ghostwriter? At first consideration, its value seems relatively insignificant when considering the work that ghostwriters do, for their words are seldom their own. On the other hand, it is easy to suppose its value lies in its ability to enhance your writing skills and creative thinking. Whilst this is indeed a part of it, there remains a greater significance in knowing the difference between Ernest Hemingway and Stephen King. Not that the latter should be spurned for his entertaining fiction, and at the same time not solely wishing to glorify so-called ‘canonical’ fiction, it is however essential to see the difference between the two types – what one can offer you whereas the other cannot. So what can classical literature offer you? Well, the likes of Shakespeare can offer you an overstated sense of self-importance – we do all love quoting it! Outside such levity, however, is the truth that for all ghostwriting an awareness of the cultural conventions that have formed the literature of today is an important feature. It lets us better know how to handle the variety of projects we get given, and more specifically, the projects that demand a little tact and delicacy when it comes to a certain subject or target audience. Other than this, books of great literature are like carefully placed stepping stones that lead to a greater awareness in all things. It might sound a little mystic, and maybe even a tad crazy. But the truth is it can be hard to articulate how essential literature is to any writer, ghostwriters perhaps more than any. The multitude of services they offer demand that their knowledge is broad, and both experience and knowledge are derived from literature. For example, as I writer I might have been stylistically influenced by the literature of Cormac McCarthy – if you get the chance, read it. A big part of this type of work is being able to think and perceive in a variety of ways – ways you would not usually expect. McCarthy offers this in abundance through his 10 novels. A warning however, they are not for the faint of heart, it is positively harrowing throughout – though it does offer a damn good read. Usually the two things are seen at either ends of a spectrum, creative writing and business. The former aiming to please the imagination, the latter to either inform, convince or present. However, it can be surprising how often the two become intertwined. This is not just an accidental occurrence, creative writing is at the heart of marketing, sales-pitches and the very process of attracting a potential customer. In a way it becomes a necessary component; most forms of writing require a significant flare of creativity to meet their purpose. It can help to sell an item by captivating the reader’s imagination, or it can help convey an informative point through creating a small fictional parable that the reader can imagine or even relate to (just as an example). In truth, its usefulness is endless and can be adapted to meet all types of needs and situations. A creative writer can help you not only change the quality of writing, but can imbue it and enhance its overall appeal. For anything to be successful, whether it be a business or a website, imagination is key. Vision in all things stems from the imagination. So why not start rejecting the usual, dogmatic positions of corporate writing, bid writing, or sales writing with an adaptable creative flare. You could be surprised the impact a little creativity has on anything, whether it just be to polish up a purpose written piece, or to create more entertaining pieces that retain an underlying, subtle intent. Have a point to make on your website? Don’t make it in the same way that other sites do, assert your difference by opting for a writer with a creative talent, who can take the normal and spruce it up to something that, whilst still meeting its purpose, boasts a higher level of quality and appeal. Need help with creative writing solutions? Exquisite Writing is a team of experienced professionals that can help! One useful thing to know is how to maximise the service you are receiving from your writer. Whether it be for copywriting, ghost-writing, or any other service, it is essential that you understand what you want and what your needs are. Why is this? Well, a lot of writers will be effective at interpreting your needs, reading between the lines as it were. However, in cases where this fails, you may find that due to not receiving the right information, the writer has taken your piece down a track you did not intend. So be sure to consider exactly what you expect out of the service to begin with. This is particularly vital when it comes to the intricate details of the piece, what it should include, its keyboards, and the nature of the content – whether you want the language to be elaborate or easily accessible. Most importantly, however, is conveying to the writer the overall aims of the piece. What are you hoping for it to achieve? By knowing this the writer will be able to bend the piece to your will, appropriately adapting the style to meet its purpose. This may dawn on most like common sense, but you’d be surprised how often it is that people do not utilise the full potential of their ghostwriter. It can, however, be easily remedied. You will find that writers are good at picking up a trail and following the stones, they just require the initial foundations. Before you request a project, think carefully about the target audience for the piece, the impression it should leave and the type of reader it should attract. Even if you find yourself uncertain, approach the ghostwriter and discuss the issue, the writers here are easily adaptable and will help you develop your exact wishes. Need help with your ghostwriting project? Contact us. And check out Julie-Ann Amos’ book, The Secret World of Ghostwriters on Amazon. How is it useful? Well, for clients seeking a ghostwriting service, the ability becomes invaluable. A lot of clients will have an overall aim they hope to achieve, but be unsure on the necessary steps to completing the aim – or even know the right direction to take. An effective ghostwriter will not only be able to command words to fit all purposes, but will also be able to interpret and guide the direction of the piece. The writer may even consider the direction the client proposes impractical and advise a different route the writing may take – still achieving the overall purpose, but doing so far more eloquently and subtly. The point is not to suggest that the client may be wrong but that the writer, from the nature of his craft, seeks all possible angles a piece of writing can operate at. It is not always clear cut and even the most seemingly monotonous and dry piece of writing can be handled in a new, possibly more effective way. Bottom line; do not be afraid to depend on your ghost-writers ability to think outside the box. Creativity does not only give breath to excellent writing skills, but to a larger vision whereby innovation and new ways of tackling writing come to fruition. Need to hire a ghostwriter who thinks outside the box? 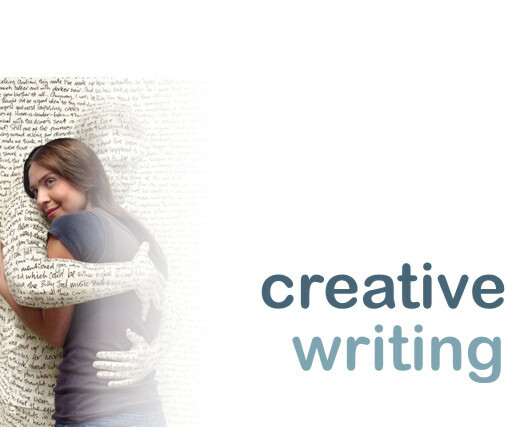 Talk to us at Exquisite Writing, a team of highly specialised and creative ghostwriters.